San Francisco Bay has some strong tidal flows and crossing the bay is the San Mateo Bridge. It has to resist these regular flows which it does without any problem. There is a lot of silt in the bay and, as the tide is changing, this silt can get churned up, particularly by the turbulence around the piles for the bridge. As we flew down the final approach, I was able to get some shots of the aby that included the bridge and showed clearly the turbulence behind each bridge pile courtesy of the silt. 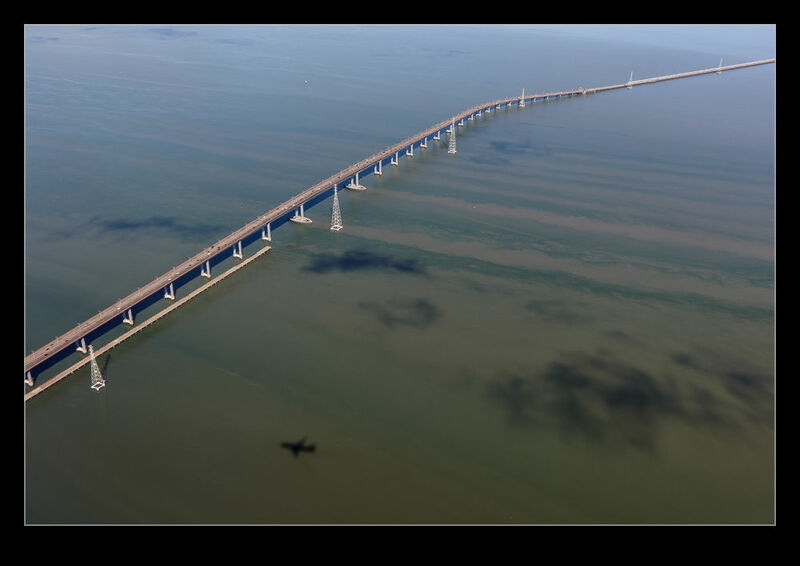 This is something that an aerial view will give you that you would no notice as you drove over the bridge. 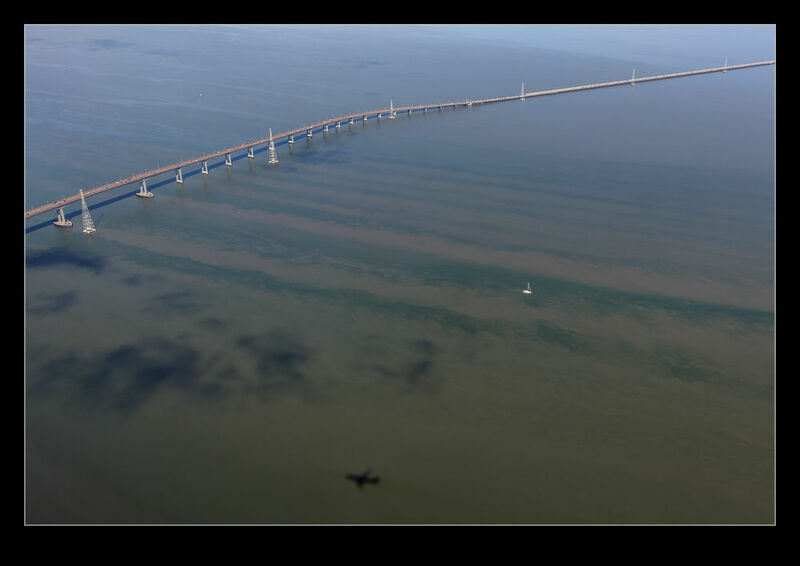 This entry was posted in Bay Area, photo and tagged aerial photo, california, san francisco bay, san mateo bridge, silt, turbulence, wake, water. Bookmark the permalink. Quite striking Rob. Interesting photo.